How Does Google Find The Best Website For A Search Query? What Happens When You Search The Web? As you may or may not know Google uses about 200 factors to rank websites in their algorithm to work out what your page is about, and how to rank the page on their search results. The million dollar question is what are they? Find out here. After you built your website using Easysite get a free website analysis report. What is SEO? 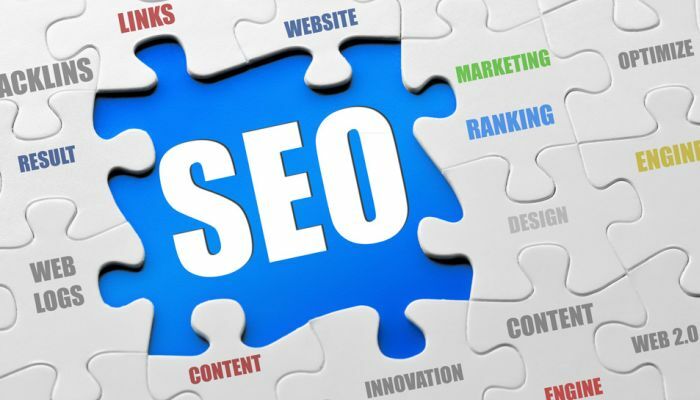 SEO stands for "Search Engine Optimization" It is a way to get free organic traffic or natural search results on search engines for your targeted keywords. Think about it. You create a website for your business, add all the pictures, videos and content, add a contact page so your visitors can get hold of you and after two or three months no one has contacted you. Wow you think to yourself having my own website is a waste of time. No its not! If you get your SEO right you will get loads of visitors, and its not that hard if you plan each page of your site. This article will help you find the missing piece of the SEO puzzle. Follow our SEO tutorials below when you make a website and get loads of free visitors from the web. One of the most important factors to consider when you start to build your website is what hosting company or web site builder you are going to use. You need fast reliable hosting. Choosing a website builder that has lots of scripts under the bonnet is going to effect your SEO and preformance. The more scripts the site builder has in the coding the slower your site pages load. So be careful of site builders that offer free or low cost websites, stay away from them. They will have hundreds of sites on one server as its free. This means that all those sites will be slow to load. Google is known to rank slow loading sites lower on the search results. Here at Easysite we know you want your website to work that's why our site builder is designed to be SEO friendly. You will find that if you run a speed test on a blank page the page load time is super fast giving you a head start. We ensure that you only get clean super fast hosting for your website. No matter how busy your site gets no upgrade needed. So this means that we have done our part, giving you a secure SEO friendly website building platform to build your new website on. Try our super smart site builder free for 30 days no credit card required. You may pay a little more than other site builders but the best does cost a little more and you never have to upgrade no matter how many pages you build or how busy your site gets. Not sure how Search Engine Optimisation works take a few minutes to watch the SEO video above. It will give you a better understanding of what needs to be done on your site. Credit for this video goes to Search Engine Land and Common Craft. Search Engines like Google have quite a job to do. From all the millions of sites on the world wide web they have to find the best results for the query that has been typed in. In the above video Matt Cutts tells us what happens when someone searches Google. Who is Matt Cutts? He is an American software engineer. He is the former head of the web spam team at Google, and is currently working with the search quality team on search engine optimization issues. When you go to the Google search and type a search query in you are not searching the web. What you are doing is searching Googles index of the web. Or at least of much of it that Google has found. Google finds your content with the help of software programs called spiders and bots. Spiders start by fetching a few web pages and follow those pages fetching more pages and follow those pages fetching more pages and so on until Google has millions of web pages stored on their computers. When someone does a web search, Google returns what it thinks is the best result for the search query. Get your search engine optimisation right and Google could show your page at the top of its search results. There is no recipe from Google on how to rank on its search engine. But what we do know is Google has over 200 major ingredients it uses to rank a page. We know some of the things that search engines are looking for and by following these simple procedures we can improve our search engine optimisation or on-page-seo of our site. Lets have a look at some of the things we know you should do on each page of your site. Following the below SEO tutorials and your new website you are building will feature well on search results for its keywords. There are two different types of SEO you can do. There is on-page SEO and off-page SEO. What is on-page SEO? On-page SEO is anything you do on your website. Example your content, title tags, description tags, alt text tags etc. Ever heard that saying content is King? Words are important, keep to the keyword topic of the page when you write your page content. Search engines love websites that are full of unique fresh content, thats why content is King. Landing pages should have at least 800 words more if possible, all full of words that relate to the topic of the page. (A landing page is a page on your site that you want search engines to rank on the first page for its keyword phrases). If your site is about building websites then create lots of different landing pages about how to build a website. Example create a page on how to create a website, then you could create a page on web hosting, next you create a page on how to buy a domain. These pages could then bring visitors to your site that are looking to find out more about building a website. Remember your page will compete with other sites that are the same topic as your site, and the site that has the best SEO will appear at the top of Google search results for the query. Every page on your site should have a title tag. The title tag should not be longer than 70 characters, and include the main keyword phrase for the page first. Each title tag should be unique, never have two pages with the same title. Search engines think of the title tag as a summary of what the page is about, just like a book or a movie title. Make sure your title for the page is interesting, remember when visitors see whats written you want them to click on it. Title tags are important when it comes to search engine optimisation, you can see the page title on search results, when you post the link on social sites and on the top of your web browser. Each page should have a unique description of what the page is all about, include keywords and keyword phrases and no longer than 160 characters. Remember that the description can also been seen on search results so its another way you can get people to click on your page if you make it interesting. The description tag also helps tell search engines what the page is about and where it belongs on its index. Keyword tags are no longer used by Google. Other search engines may still use the keyword tag so in our opinion its best to still use it. Add your main keyword phrases first followed by the least important keywords for the page. When you choose a theme or template make sure the menu is easy to see and navigate. A good practice is to make sure all your pages on your site are no more than three clicks away from the home page. This will help keep link juice flowing to your home page from other pages on your site, boosting the home page. Remember internal linking in the content to other pages on your site, use keyword phrases in the anchor text of the link, this helps tell Google and other search engines what the page is about. Internal links in your content makes it easy for visitors and Googles spiders to find more content on your site. By following this rule visitors will stay longer, see more content and you will have more page views as they can find more of your pages. Linking to other sites with the same topic as the page is another good SEO practice. Why would you want to do that you ask. The more information on the page the better it will rank for the keywords. By linking to other sites with the same topic as the page you helping to tell search engines what the page is about. So if you have a page about web site design type web site design into Google then select one of the sites on the first page results that you like and place that link some where on your page for web site design. Make sure to open the link in a new window and have the nofollow tag, to stop your page passing on any link juice to that site. Remember if visitors found your page on search results and can't find what they looking for they click the back button and go straight back to Google. The more times this happens Google will think that the page is not that good and move it further down in the search results. If you have two or three links at the bottom of your page recommending other sites, with the same topic visitors will click on those pages if they don't find what they looking for on your page and not click the back button. This will also improve your bounce rate. In short have a few high quality out bound links on pages helps tell search engines what the page is about and will improve your on-page SEO. There are 6 heading tags. Starting with the most important H1 followed by H2, H3, H4, H5, and H6 being the least important. The H1 heading tag is the most important tag and should only be used once on a page. Try to include your most imortant keyword phrase in the H1 heading tag. See it at the top of the page. The rest of the heading tags H2, H3, H4, H5, and H6 follow the H1 heading tag in order. You can use these tags more than once on the page. Heading tags text is usuually larger than your normal text. Never have the same keyword phrases in all the tags on the same page, this will just over optimise your keywords and get you no where. You do not need to use all the heading tags. If the page is not that long use the first two or three tags. Rather use different keyword phrases in the heading that relates to the paragraph of text below the heading. Bold or Italic text can also be used to tell search engines about your important keyword phrases. Include other words as well so as not to over optimise those keywords. Its a good idea to name images with keywords of the page. Include a unique keyword phrase in the image alt text. Its all about the keyword density on the page. Be careful not to over optimise the page. Use a selection of long tail keywords, short tail keywords, and different keywords that relate to the main keyword of the page when you do your search engine optimisation. As a rough guideline your main keyword phrase and keywords should consist of about 4 to 6 percent of the content on the page. Remember to also use long tail keywords. DOMAIN AGE - How many years did you buy your domain name for? Its a know fact that one of the 200 major ingredients Google uses to rank a page is how long a domain name has before it expires. Spammers that set up sites only buy the domain name for one year. People that dont have the confidence that their site will do well only buy their domain for one or two years. People that buy a domain name for five or ten years mean to be in business for a long time, and Google knows this. You score some points with Google when you register your domain for five years and even more points if you register your domain for ten years. It makes good SEO practice to register your domain for ten years. After a few years extend it again to ten years. WEBSITE SPEED - A fast loading site is best for your visitors and the search engines. Be careful of large images, slideshows, lots of scripts and anything that slows the page down. Sometimes less is best. WEBSITE STRUCTURE - Make sure your site builder has a good website structure, it must be fast loading, easy for you to add content, have a great support team, and been around for a few years. You don't want to build a website then loose all your work when they go bust. We want you to try create a website with Easysite free for 30 days. Try our site builder out. See how easy it is to make a website. Click the link below, you don't need any money or credit cards to try. 404 PAGE - Make sure you have a 404 page or not found page set up. If you delete a page it should redirect to the 404 or not found page. UNDERSCORE - Do not use underscores in your URLs alway use hyphens. ROBOT.TXT FILE - Make sure you have a Robot.txt file and its set up correctly. A Robot.txt file tells Google and other search engines about pages on your site and how you want them to treat those pages. SITE MAP - Make sure you have a site map and its up to date. Include the link of the site map at the bottom of each page on your site. Here is Easysites site map. BROKEN LINKS - Check your site at least once a month for broken links. When you link to other websites, those sites might go dead for what ever reason. Linking to dead sites will not do your SEO in good. Use a website broken link checker tool to find dead links on your site, when found remove the dead link.